BBQ heat caused a dent in my kayak. HELP. Discussion in 'General Paddling Discussions' started by pointbob, Sep 13, 2018. I made a mess of my thermo-plastic kayak. I really hope the forum can help as the wife is going to kill me. 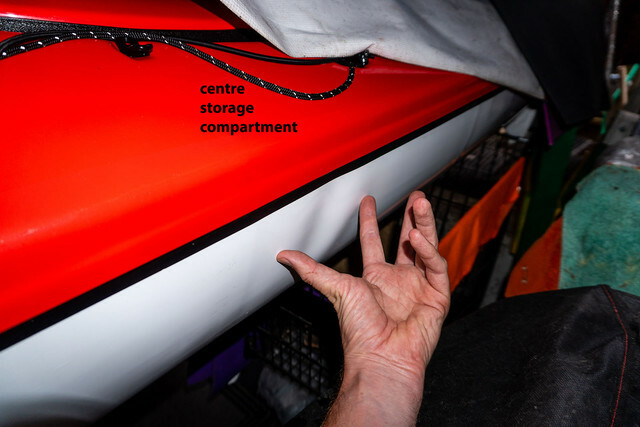 I stored the yak too close to the BBQ and the heat caused a dent (inward)/deformation about the size of a small cantaloupe (6 inch circumference). It's right in middle accessible fully from the center storage cockpit. The dent is maybe 1/8" inward. Definitely visible but no water leak. Can I repair this? Is it expensive? Are there any home remedies. I've done some really really crude modifications on an old plastic ww boat whose thigh hooks were too low down and curved for me. Firstly the plastic [naturally of a much different type] would have been quite a bit thicker than your hull. With that very crude experiment I found that it was very difficult to make the plastic do what I really wanted - I sure couldn't get it to contract in the way that I hoped - and ended up with a bit of a hack job [as usual, heh heh]. I've got both the RC type heat guns that Dave mentioned as well as a fairly typical 1500W heat gun and for me the big heat gun was the right tool. I found that there was a fairly sudden point when the large areas that I was heating up suddenly started sagging and that I should have preplanned it all a lot better. My advice with yours is to get some expert help - ie the manufacturer or someone who successfully does this type of work - but otherwise to just accept what has happened. I mean, what's the problem with the way it is now? You're a kayaker who does stuff and stuff happens and your boat shows that you get out there and do stuff and get smacked around a bit - that's what happens anyway to most of us, right? 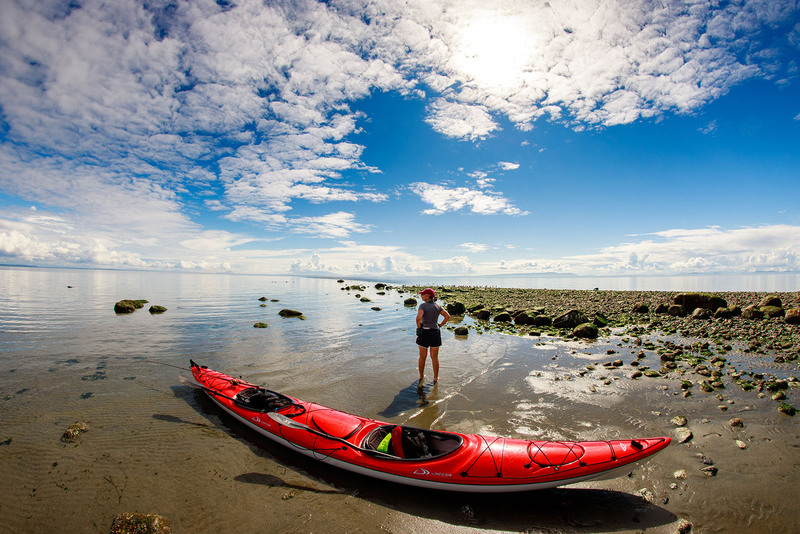 What's a kayak for other than smacking into the wide world out there? Heck, get out the baseball bat and wack it a few times. But if you're bold, hang it sideways so the dent is down, have a heavy glove on one hand to push from the inside or some type of more consistent inner form [12" of bent ply? ], and slowly heat the affected area just until there is movement and then hold the inner in place for 10 or 15 minutes while the outer cools [I don't think I'd use additional [water spray] cooling, but don't know]. My expectation is that half of the dent might be improved. Anything better would be bonus. But if me, I wouldn't do anything because it wouldn't bother me at all. I'd try wet sand in a bag as a weight to push the dent. I would put the BBQ on the other side of the boat to create a symmetrical dent and then convince the wife that the ‘speed humps’ have always been there. Seriously though, I think after heating, both sides of the hull will need to be supported while cooling. It looks like more of a ripple than just a dent. I would make a mold to sandwich both sides of the hull. Thinking that carving the shape from foam and then gluing some thin plywood layers might do the trick. Heat up the plastic then sandwich the damaged area until cool. Depending on the angles, maybe try clamping the molds together. I would think the more pressure the better. I wouldn't even try. The chances of completely ruining your kayak (edit: making it a lot worst) are high if you don't have the right gear and knowledge to repair this stuff. 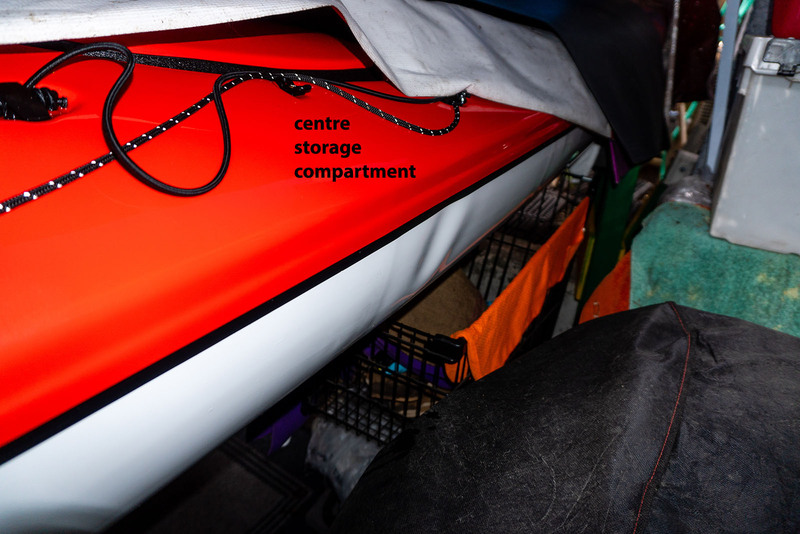 Those thermoformed kayaks have an acrylic finish layer on top of ABS. Good luck producing the temperature and heat gradient you need over the area to be able to nicely push back the hull to where it belongs. The chance of oxidizing the surface and discoloring it is fairly high in you don't work under inert (nitrogen) atmosphere or... heat extremely slowly with the gradient you need at the bump perimeter. Plus you would probably get wrinkles: it's easy to heat/melt a plane into a bump, but not the other way around, because the layer has been stretched and is now thinner. Yup, always the possibility of making it worse. I thought the acrylic layer was only on the deck for UV protection and prettiness. Do the hulls also have acrylic? Dave, I’m not the OP. I only own composite NDK kayaks. My first kayak though was a Delta 18.5 Expedition (thermoform). 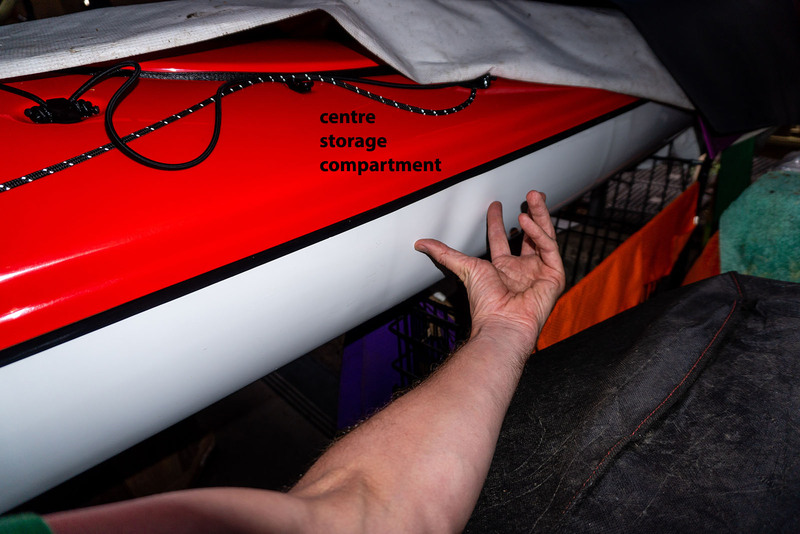 At 6’5” I thought I needed a large volume boat, but that boat at 500 liters total volume was WAY too big for anyone. Looks like Delta learned their lesson as well and only makes up to 17’ single boats now. Good luck to the OP. It would be interesting to hear back about what the manufacturer says. The deformation pattern indicates, to me, the plastic has a memory and was trying to shrink back to it original size. All thermo form plastic has some memory, some plastics have more. It is most likely that the more you heat it the more wrinkles will form. Only attempt a repair that the manufacture approves.